Cultural richness, warm climate year-round, diverse landscape, welcoming people: it’s got to be the Republic of Cape Verde, an almost unheard of volcanic archipelago comprising of 15 islands, some 570 km from Senegal in the West coast of Africa. Three of the islands (Boa Vista, Sal and Maio) are relatively flat, sandy and dry with the rest verdant, humid and rocky. This originally Portuguese colony is now a stable democracy and works hard at attracting visitors, one of its main sources of income. 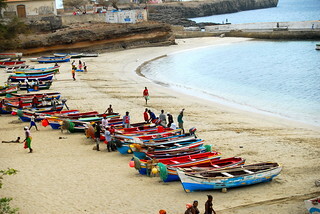 However, Cape Verde may still be a connoisseur’s (hiker, diver, surfer, deep sea fisherman or photographer) destination, predominantly due to distance. The islands are historically linked to Europe and Africa, but their soul may be more aligned with Brazil. The Cape Verde accordion-based funaná music, linked to both American style zydeco and West African music, unashamedly mingles with samba during local celebrations. The visitor can dance to local tunes on the first night, lounge on the exquisite beaches the next day, explore the volcanic interior on the third, then scuba dive, shop for characterful hand made local artifacts – the list goes on. Praia is the Cape Verde capital in the south of the largest island Sao Tiago and boasts exquisite beaches and architecture. 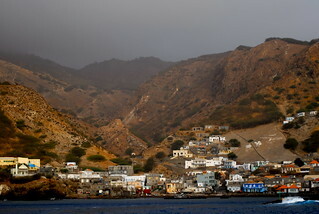 Swim in Tarrafal and shop in São Domingos for authentic handicrafts. Sal island with its many resorts provides interesting day trips (e.g. to Buracona Cave or Salao Azul) and also fantastic diving opportunities. Boa Vista island near Sal with its steady ocean breezes is ideal for wind- or kite-surfing. Arid São Vicente island with its capital Mindelo, the cultural centre of the archipelago at the foot of two extinct volcanoes, provides fine colonial architecture, great local music, a colourful café culture and excellent restaurants. By contrast Fogo, the most prominent island in the group, is a single 3km active volcanic peak, its desolate slopes streaked with rivers of lava frozen in time. 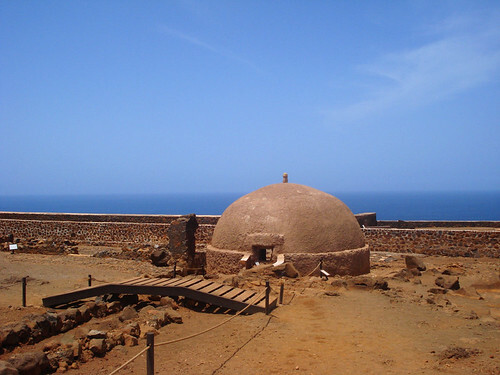 For many the real jewel in the Cape Verde archipelago is Santo Antão, the Mountainous Island, containing the 1979 metre-high recently dormant volcano Topo da Coroa. Santo Antão is a veritable mecca for hikers that can get right into the bowl of Paul’s crater and walk through verdant fields and terraces growing coffee, sugar cane, mango, sweet potato, maize and beans in the rich volcanic soil. Ribeira Grande, the capital of Santo Antão, is connected to Porto Novo by a spectacular 36 km paved road going through amazing mountain scenery. A rugged 11 km path running by the side of the mountain and through an impressive canyon to the fishing village of Cruzinha da Garca, is a must for any serious trekker.